UPDATE – Due to rain, work will continue on Tuesday, September 25, to prepare the roadway. Traffic Shift will occur Tuesday morning. 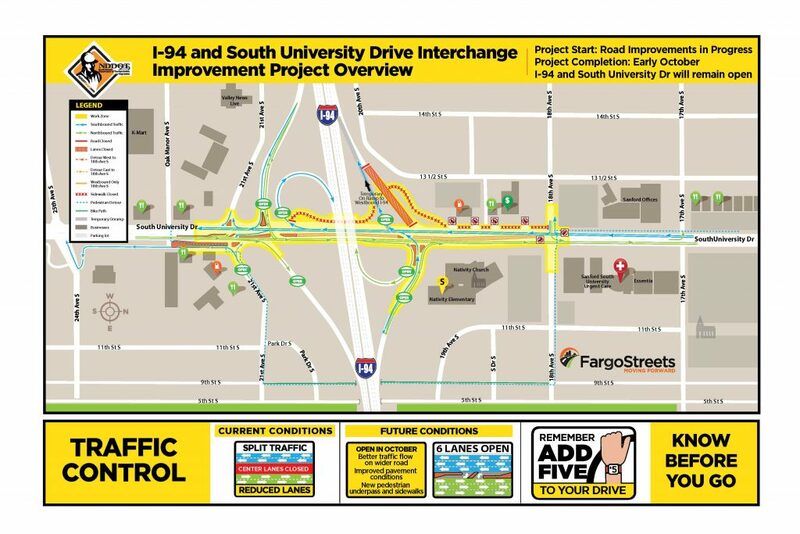 Early next week contractors for the North Dakota Department of Transportation (NDDOT) Fargo District and City of Fargo Interstate 94 (I-94) and South University Drive interchange project will begin the second to last phase of project work in south Fargo. Monday, September 24, crews will open two driving lanes in each direction in the afternoon to increase traffic movements through the work zone. With the traffic shift, crews will work to finish the center median and turn lanes. Depending on project work, traffic will shift from being carried on the two outside or two inside driving lanes in each direction. Crews are also working on the grading and paving the new westbound on-ramp, sidewalk to connect to new pedestrian underpass in the northwest quadrant of the interchange and traffic signal work. The new permanent traffic signals are already in-use south of the I-94 interchange. 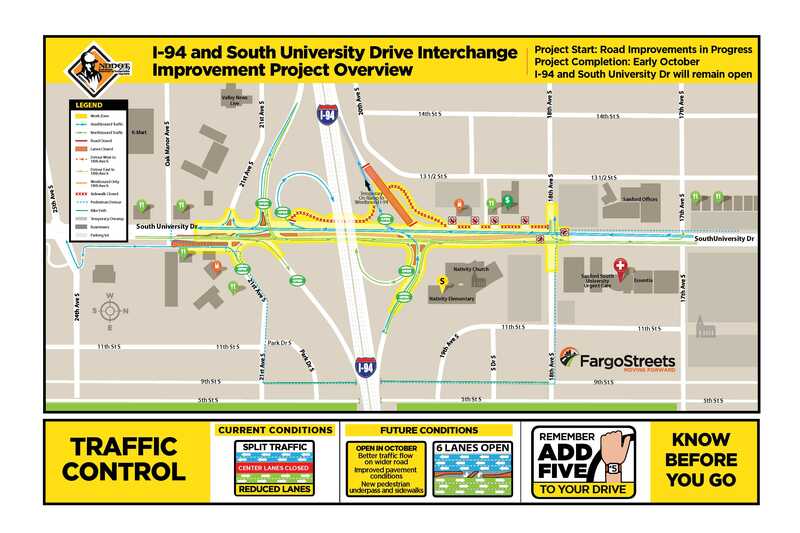 Toward the end of September or beginning of October, contractors are planning to conduct an overnight interstate ramp closure on the westbound off-ramp from I-94 to South University Drive.